Are you exercising daily? Do you find that you skip days because you don’t feel like getting up and exercising? Think about how much and when you exercise. Did you know that there are many reasons why you should add exercise to your daily schedule? Exercise is extremely important and it helps improve your life in so many ways. If you are not exercising daily, here are some reasons why you should be. If you are currently exercising every day, give yourself a pat on the back because you are doing great. 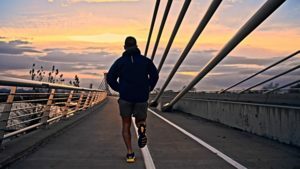 What are some of the most important reasons to exercise daily? Boosting mood ranks the top of the list for many men. Keeping your brain mentally fit is another excellent reason. Keeping up with the fitness of your body ranks among the top 3. Boosting immune system is excellent to prevent infections and other sicknesses. Lowering stress levels is something that many men need. Anti-aging effects is something many men who exercise daily look forward to. Getting better sleep is helpful for many men. Preventing strokes is important as well. Keeps you focused on the important things. Lowers risk of certain types of cancers is a major plus. These are some of the most important reasons why you should add exercise into your daily schedule. What are some of the other reasons why you should be exercising daily? Boosting your productivity is a plus. Increasing your confidence helps many men. Strengthens the bones and the heart as well. Improves posture is a reason for many men. Fights off back pain and hip pain is a good enough reason. Reducing stress is a great reason to exercise daily. Improving endurance helps many men. Improving balance is a benefit for some men. Improving self-control is a great benefit for many men. Reducing fatigue helps with getting things done. These are some of the other reasons why you should be exercising daily. Now that you have a big list of the top reasons and some other reasons why you should be exercising daily, you can get to it. Don’t make any excuses. Even if it is just a small time that you are exercising, make sure you are getting it done. You will be glad you did. Previous articleNutrient Filled Diet: What Do You Need to Know?